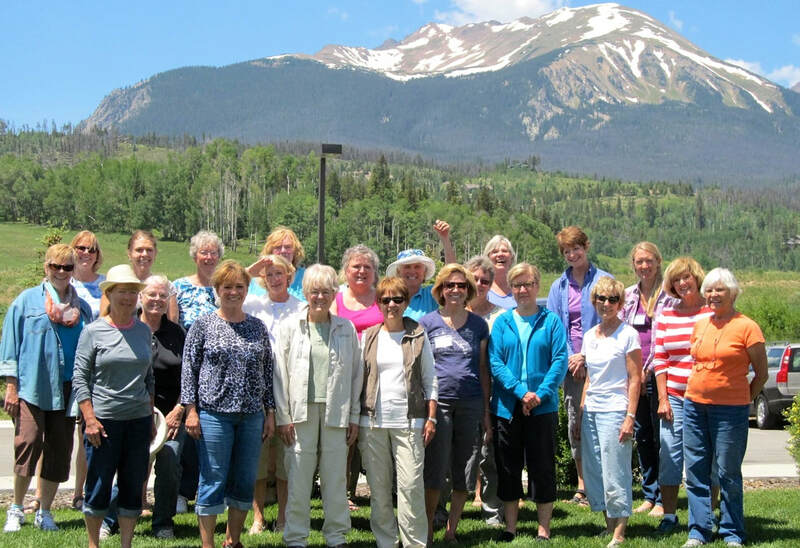 Women of Watercolor is a group of Summit County Colorado women who meet regularly to paint in plein air, and in studio. We encourage each other's artistic growth by offering instruction, exhibitions, and camaraderie. We support the visual arts in Summit County. On Tuesdays during the summer, the artists meet at a different outdoor location every week. In the winter months we paint indoors. After about three hours of painting we gather for lunch and then offer suggestions in a group critique. There is much fellowship, sharing and learning during these painting sessions. Women of Watercolor engage a renowned artist and teacher to demonstrate, teach, and critique during a three-day outdoor painting program each summer. In addition, mini-classes are offered throughout the year. Members get to exhibit their work at various venues and events in Summit County. We have exhibited at the Speakeasy Theatre, the County Commons, Backstage Theatre, Hamill House in Georgetown, and The Pavilion at River Run. We have been invited to participate in the annual “Meet the Artist” program at the Riverwalk in Breckenridge, "Fall for the Arts" in Silverthorne, and "Pioneer Days" at Keystone. Membership is open to all women who enjoy the medium of watercolor. Contact Membership Coordinator Mary Servais for more information at servaismary@gmail.com or President Barbara Brandt at 970-468-9018.